Located on S Abilene St south of E Mississippi Ave and I-225, Extra Space Storage serves residents of Aurora. Locals will recognize our facility just south of 24-Hour Fitness and Holiday Inn Express across the interstate from The Medical Center of Aurora. Extra Space Storage is about 15 minutes from Buckley AFB, providing reliable self storage for active military, base personnel, and military families living in and around Aurora. 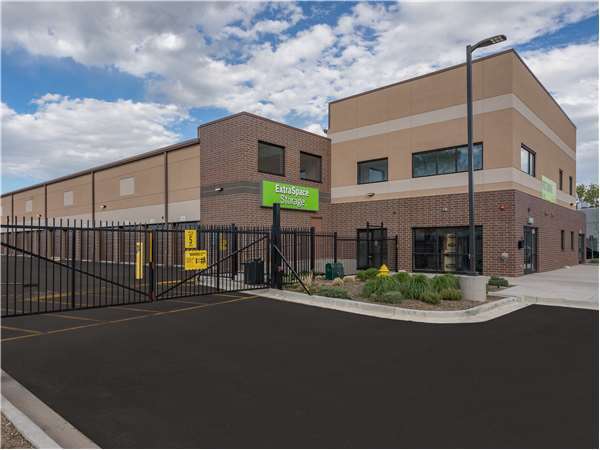 With a wide range of storage units, climate-controlled storage, drive-up access, and exceptional security, Extra Space Storage on S Abilene St is the storage partner you can count on in Aurora! No matter what you plan to store, our Aurora storage facility has the space to accommodate you! We have units ranging in size from 5x5 to 10x30 and unit features like first-floor access, drive-up access, and more! We're committed to the safety of our customers and their belongings. That's why our S Abilene St storage facility utilizes security features like 24-hour video surveillance and electronic gate access. If you plan to store delicate items, climate control is highly recommended. This feature keeps your unit between 55 and 80 degrees year-round, keeping your belongings safe from extreme heat and cold. Experience the ultimate convenience with drive-up access! Drive-up units allow you to pull a vehicle right up to unload and load large, heavy items without hassle. When you choose Extra Space Storage, you can expect high-quality self storage and exceptional customer service. With a well-maintained, clean, secure facility and a friendly, professional staff, we go the extra mile to ensure you have a great experience. Contact us today to reserve a storage unit in Aurora! Nice convenient location, very good price, excellent, helpful manager! Great place with a wonderful staff. Clean, well-kept. Always feel safe no matter what time of day I am at the unit. A great company. I would recommend to anybody who needs a storage u it. Great place. Staff is very nice and price is just right! The customer service was great, and the facility is clean. I love the fact that it’s a secure facility. The price is really reasonable. I was very pleased with the cleanliness and customer service. However, I notice on Sunday that the gates are wide open all day. In addition, my lock broke and fell off the key (on a Sunday) and the office cannot get a hold of anyone to replace it. This has really messed up my move, as tonight is my last night to get my stuff into storage. Now I feel like I need to spend the night at the storage unit to watch my stuff. For the money, the space, and security of the property, i will definitely use extra space storage in the future. The customer service was fantastic. Units are clean, and the hallways are well lit. Security cameras are everywhere, and the office staff can see what is going The property manager is a professional and treats the clients with respect . Steven was great. He was very friendly and easy to talk to. He understood my situation and listened to me which I needed and couldn’t get from anyone else. Price is right and clean. The property is secured, but you have access to your storage until 10pm. Clean, affordable and fantastic customer service! Units of every size. This is an easy recommendation for anyone whose moving or just needs space. Affordable, clean, helpful, professional. I looked at several places but this was the best value, and the clerks were well prepared to answer my questions. We thought the storage renting process was easy and fast. The facility was very clean. On top of that Brittany was very helpful and welcoming. Extra Space Storage made it so easy for us to store our belongings. Extra space storage provided a good, reasonable price. A good secure facility close to my house, and did the little extra things to make it a more enjoyable experience. Great place to store stuff at. It’s easily missed because it’s back a little between some buildings but I’m glad I rented from them. The moment I walked into the door I was greeted and was helped that second. A live person. Not some kiosk or automated phone call but a real live person there just waiting to help me and waiting to help you!!! Over the course of the past four years, I have moved quite a bit and have collected several items along the way. Although I prefer to have my belongings on-site, at home, this just isn't realistic. Finally, after months of being frustrated with seeing junk and totes full of items, in my guest room, I decided to give personal storage a try. The facility was tricky to find at first, but the place is absolutely spotless and easy to navigate. It is conveniently close to where I live, and it's climate controlled. They have numerous cameras throughout the facility, which puts me at ease. Check them out! Anthony was a great help, as this was my first time using self-storage. S. Abilene St. and Mississippi Ave.
Take the I-225 South, exit Mississipi Ave, then make a left at the stop sign. In less than a mile, you will make a right onto Abilene St. The property will be on your left, enter the driveway between Cosmo Prof and ABRA Auto Body and Glass. It is just right before you see American Furniture Warehouse. Take the 1-225 North, exit Illiff Ave. When you exit, stay on the middle lane to go straight and that will turn into Abilene St. You will pass several restaurants like Outback, Joe's Crab Shack and Sweet Tomatoes on our right. Once you pass those restaurants, the site will be about 2 minutes away to your right. From the East near Buckley Air Force Base. Take Mississippi Ave towards I-225 for about 3 miles. Just right before the freeway, make a left onto Abilene St. The property will be on your left, enter the driveway between Cosmo Prof and ABRA Auto Body and Glass. It is just right before you see American Furniture Warehouse. From the Denver. Take Mississippi Ave towards I-225. Just right after the freeway, make a right onto Abilene St. The property will be on your left, enter the driveway between Cosmo Prof and ABRA Auto Body and Glass. It is just right before you see American Furniture Warehouse.